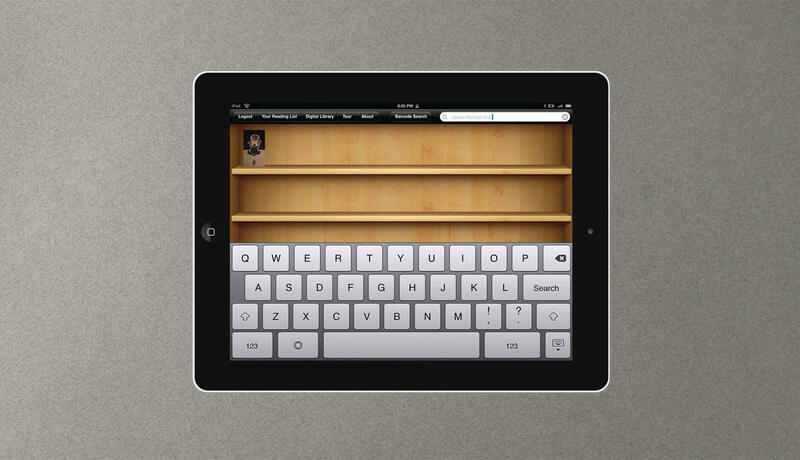 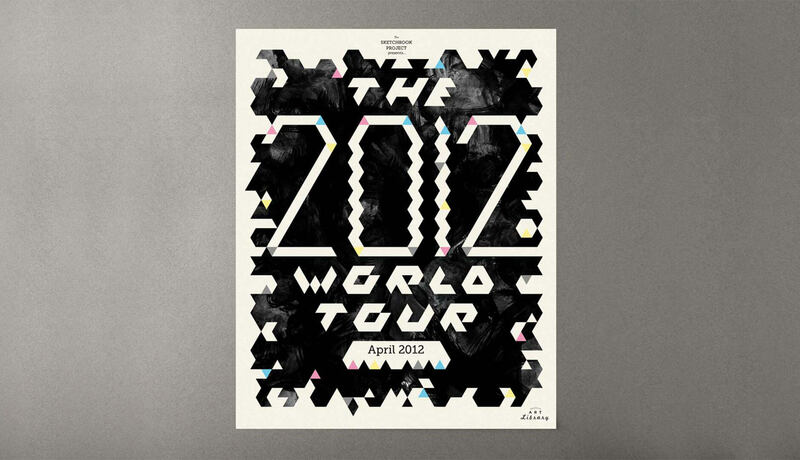 A poster and an iPad solution was created for The Sketchbook Project 2012 World Tour. 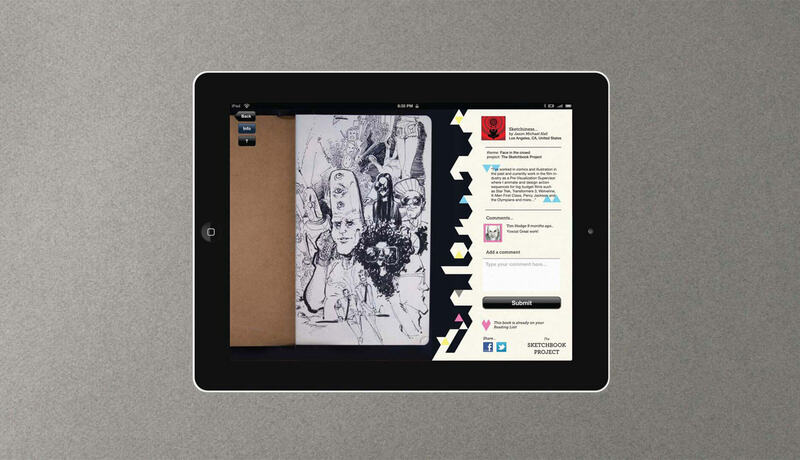 It would be used to promote the tour and also promote the new iPad app made for the tour and the overall Sketchbook Project. 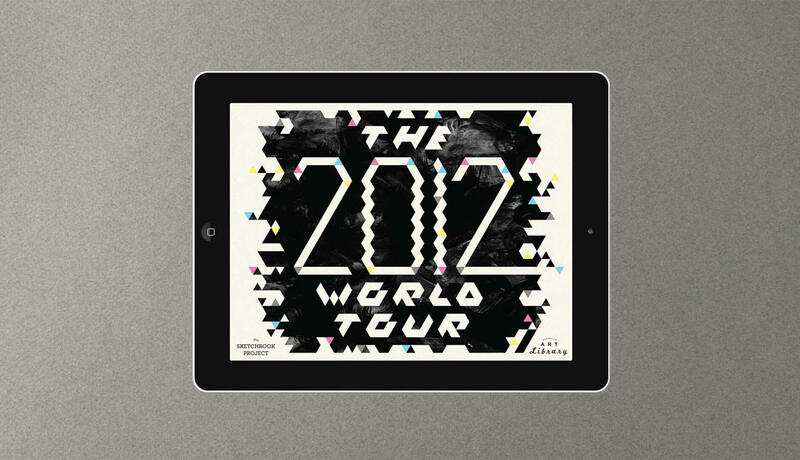 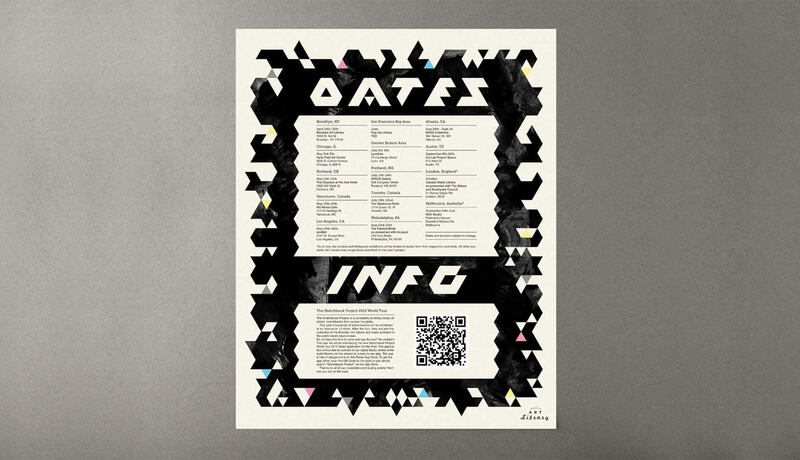 Using triangles, a new typeface was created to relate to the iPad app addition to the tour. 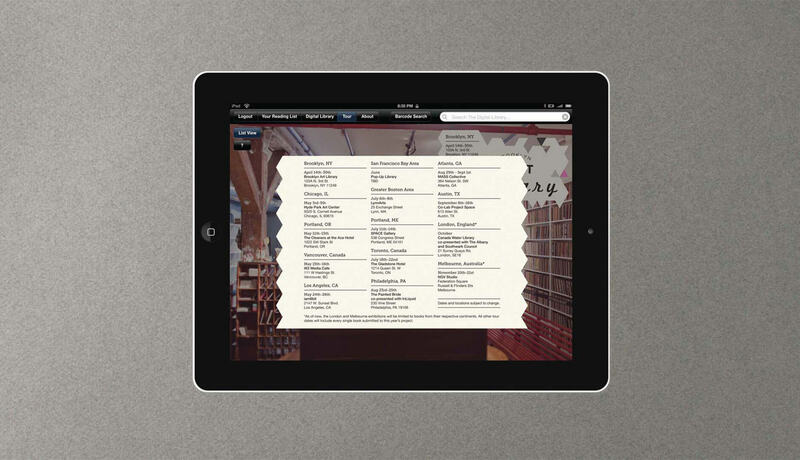 This typeface created a pattern that is used throughout the entire app. 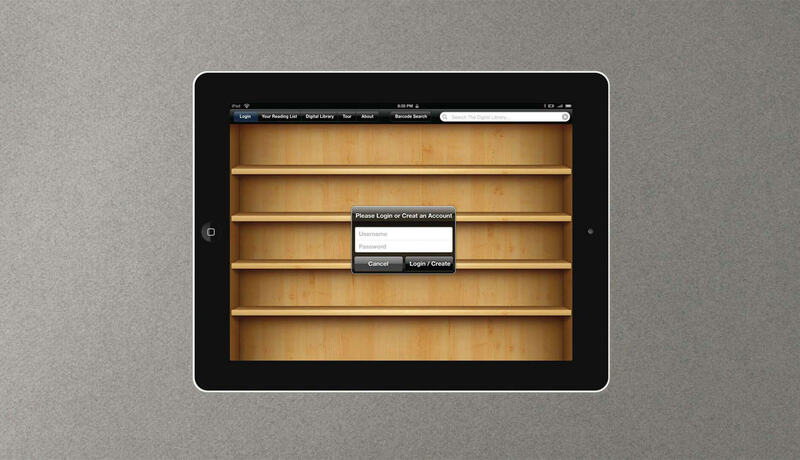 The app would use existing frameworks provided by Apple to provide an easily recognizable app environment so that users of other iPad apps would be able to pick this app up and be able to use it. 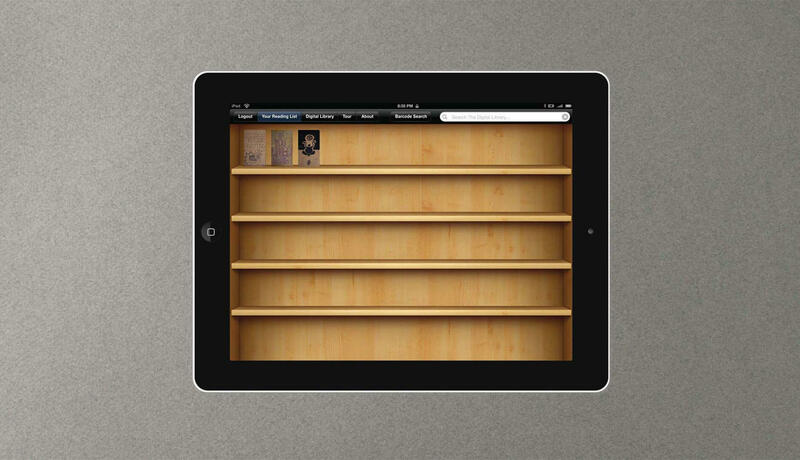 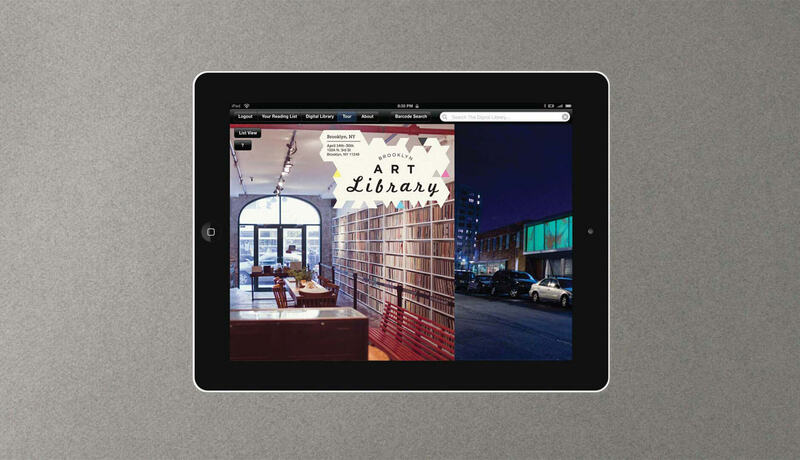 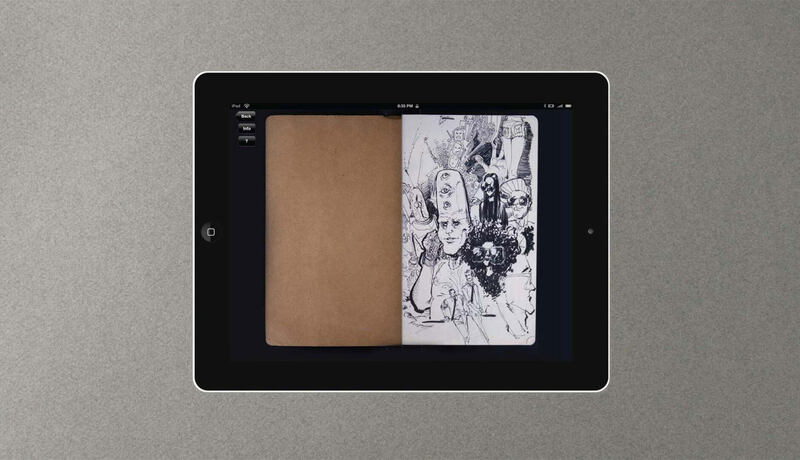 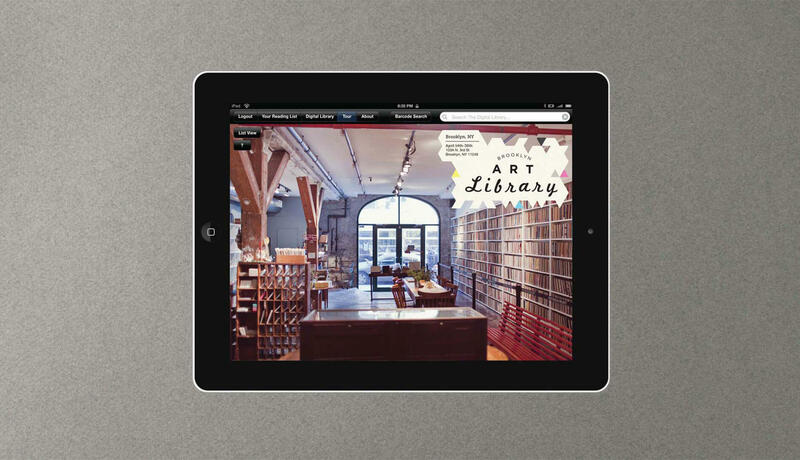 The app would use The Sketchbook Projects current resources and their extensive pre-existing Digital Library. 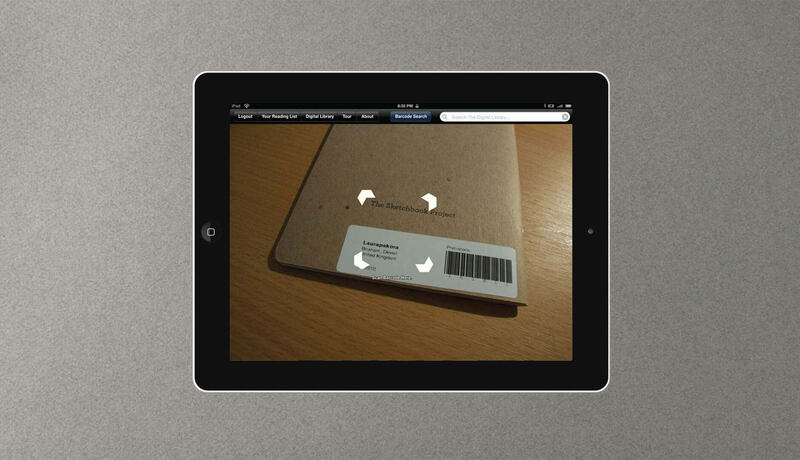 Since every sketchbook has a barcode, the barcode scanner built into the app would be able to bring up information on any sketchbook and bring up its Digital Library version if the owner paid for it. 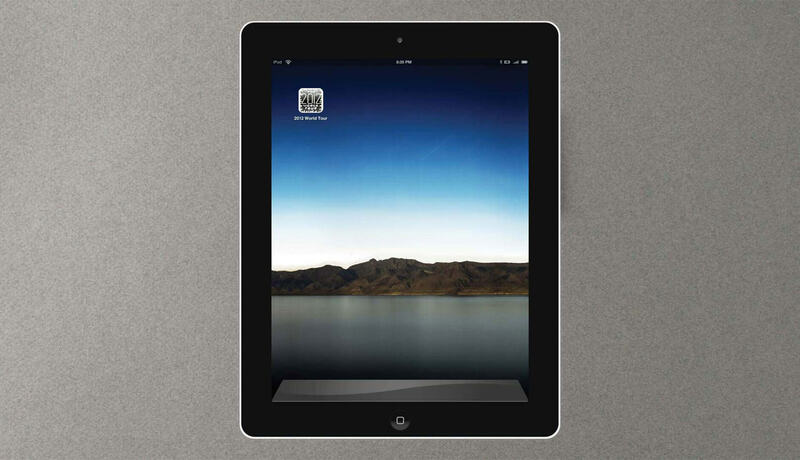 If you would like to see high resolution renders of each iPad app screen, click here to download a .pdf.